Hallo Mr. Smith. Did you take your morning medicine today? 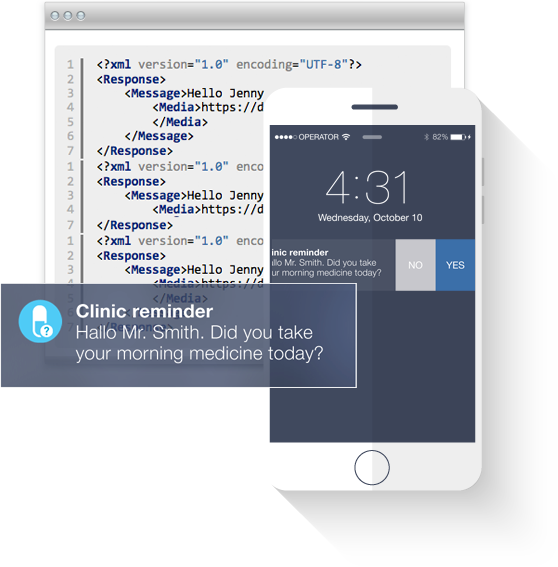 Catapush is a simple, reliable and scalable delivery API for operational push notifications for applications. 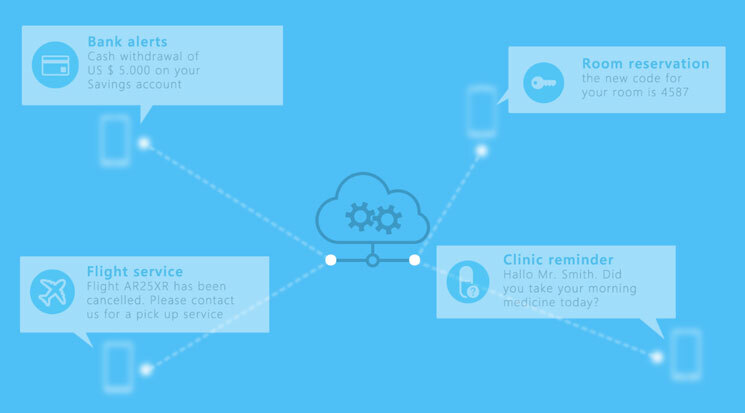 Ideal for sending data-driven transactional notifications including targeted e-commerce and personalized one-to-one messages. Thanks to a standalone push notification gateway, independent from Firebase FCM, Apple APNS and Windows WNS mobile push notification services, Catapush maintains own real time background connection with devices using XMPP protocol thus having the ability to guarantee push message delivery even under critical situations and to send push 2X faster. 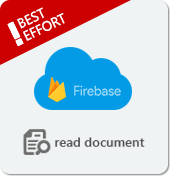 Go beyond FCM,APNS,WNS “best effort” push delivery if notifications are an important part of your real time app! Flight service information Flight 2456 departure has changed. Hallo John Proceed to Gate 24. Hallo Mary Proceed to Gate 24. Hallo Dave Proceed to Gate 24. Personalize your push notifications and in-app messages with your data and avoid sending standard messages to all your users. Single or massive message sending / up to 100.000 messages sent simultaneously with a single request. In a few hours integrate our Android, iOS and Windows service libraries to enable reliable push notifications and in-app messages in your app. Use our Rest API to send push messages to your users directly from your web site and backend system. A reliable and secure cloud messaging platform scaling from one to millions of messages without changing a line of code. Zero maintenance windows and a 99,9% uptime. Data transfers encrypted with TLS/SSL 256 Bits all way through your user app. APNS does not guarantee the delivery of your push notifications. For example during multiple message sending if the smartphone is switched off only the last message will be delivered while all the others will be discarded. If your application is closed by the user in settings, the push notification will be received by the smartphone but it will be discarded and it will not be accessible by the mobile user. 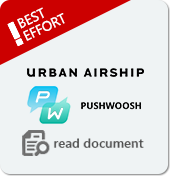 Parse, Urban Airship, Pushwoosh and other main push providers use Apple APNS and Android GCM best effort push services as content delivery channel thus they cannot neither guarantee the delivery of your push messages nor provide a real time delivery status tracking. 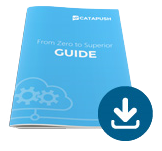 Go beyond APN and GCM / FCM “best effort” push delivery if notifications are an important part of your real time app!